FUN Things to help you share a world of Peace & Love ! What can you do to spread the words of peace and joy, and help eliminate prejudice? In your own small way you can start with kindness to your neighbors and classmates. Show others that you care, and realize though we may look and act different, we are all the same. The exclusive IKC activities below should help you learn about peace and love in your world. 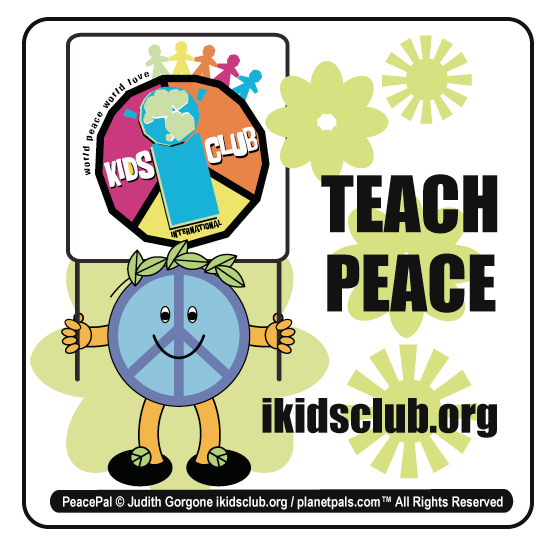 Share with your friends, too, by mailing them the IKC kidsclub theme song and Rainbow of peace! Please: Help keep the world in one PEACE! Theme song to mail / Peace symbol and Heart clip art / say "Peace" and "I Love You" an any language dictionaries / famous PEACE songs and images / peace,prejudice,friendship quotes / more. with your friends near and far! Mail a Rainbow for Peace! Share the message of peace worldwide! Send PEACE e-mail greetings Coming Soon! Make peace, spread friendship at school and home, many simple ideas for all of us here! Learn about prejudice and what you can do to stop prejudice! FREE Peace symbol clip art . Print this out, Make a peace collage. FREE Heart clip art . Print this out, send out some love! Make a love collage. 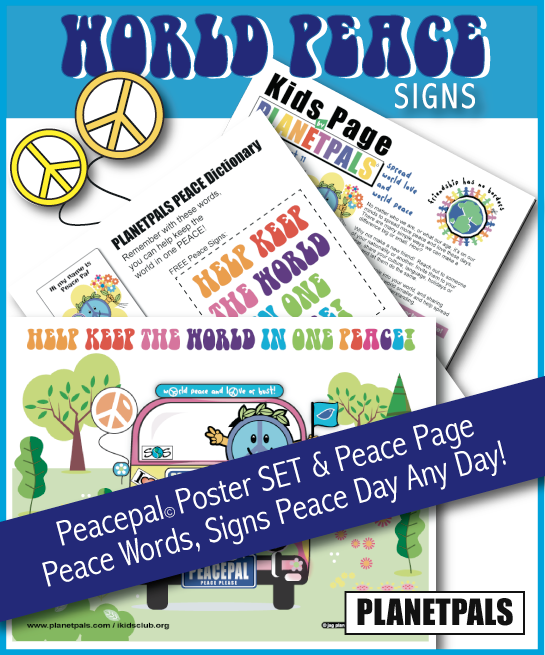 Peace Page at Planetpals: Check out Planetpals Earthzone for activities about Peace, including a Peace Puzzle!